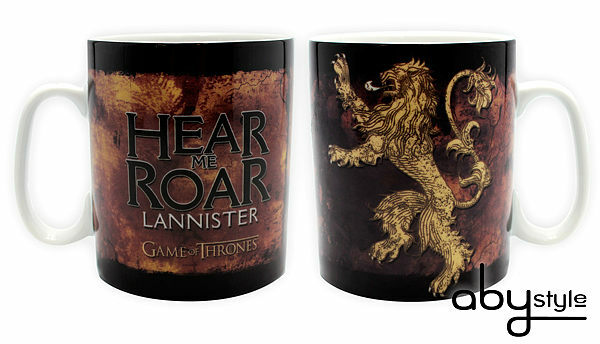 GAME OF THRONES - Mug - 460 ml – Lannister - porcl. with box. « Hear me Roar ! » It’s time to assert your membership and your loyalty to the house Lannister! This beautiful mug from TV series Game Of Thrones represents the symbol of your favorite home and its motto, with background the Westheros map centered on the region of Port Real. GAME OF THRONES - Mug - 460 ml – Targaryen - porcl. with box. GAME OF THRONES - Puzzle. GAME OF THRONES - Mug - 460 ml - Stark - porcl. with box. 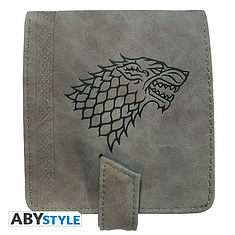 GAME OF THRONES - Premium Wallet "Stark".